How do we recognize a familiar person? Human to human recognition takes place using their physical and behavioral features like facial structure, voice, the way they behave, move, etc. Today’s life is highly intervened by information technology and digital devices. These devices also need to recognize human being to protect physical and logical resources as well as to automate things. To be able to do that efficiently, they need human-like (or even better) accuracy and speed to recognize people. There are many techniques implemented to make machines recognize human beings, however, identifying them with their own inherent characteristics like face or voice or even shape of hand is taken care by biometrics. In this article, we will have a deeper look at hand geometry recognition, a lesser known but efficient biometric identification method that leverages shape of the human hand to identify them. Human hand is more distinctive than human eyes can perceive. This distinctiveness can be measured with computer based imaging and measurement techniques and identity of an individual can be associated with the distinctiveness of his/her hand. Although there is no documentary evidence of uniqueness of the human hand shape, it can be considered unique for a small population. In a large population, there might be chances that two hands have similar geometry. For a limited population group (e.g. a few hundred thousands), it can be taken as a unique characteristics. It led researchers to develop systems which can recognize individuals on the basis of shape of their hand in applications like employee attendance and door access. Hand geometry or hand shape technology is considered to be the oldest implemented biometric technology, even older than the implementation of fingerprint biometric technology. History of hand geometry and hand shape technology dates back to 1960s and it was patented in 1985. In early 1990s, it enjoyed market dominance in applications like employee attendance and door access. Now when other biometric modalities like fingerprint and face recognition has claimed a huge chunk of market share there are many business outfits still using this technology. Now applications of hand geometry recognition biometric are not as apparent as other biometric modalities like fingerprint or face recognition. Despite that it is still relevant in many physical access and time/attendance applications. Hand geometry recognition biometrics leverages the idea that hand geometry of each individual is unique. There is no documentary evidence of hand geometry of a person being unique, but given the possibility of variation of anatomical structure of a group of people, hand geometry can be considered a human physiological characteristic that can be used to uniquely identify an individual. The concept of hand geometry recognition was introduced by David Sidlauskas in 1985 following a commercial launch of world’s first hand geometry recognition system next year. One of the notable deployments of hand recognition systems took place in the 1996 Olympic Games, in which physical access to the Olympic Village was controlled and protected using hand geometry recognition systems. Though fingerprint time clocks are now taking over employee time tracking and attendance applications, many organizations still rely on hand geometry recognition systems along with time clocks for employee attendance applications. Hand geometry reader: how does it work? A hand geometry reader is a device that can capture and process human hand geometry and produce a digital biometric template that can be used to establish identity and verify it later. Hand geometry readers are commonly used for employee attendance and physical access applications. They provide securer and more efficient employee identification than traditional time cards that can be vulnerable to time card fraud and timesheet manipulation. From outside, a typical hand geometry reader looks like what is pictured below. It is provided with an LCD display and keypad to assist with the enrollment and verification processes. For identity verification, the user has to enter his/her personal identification number or PIN first. 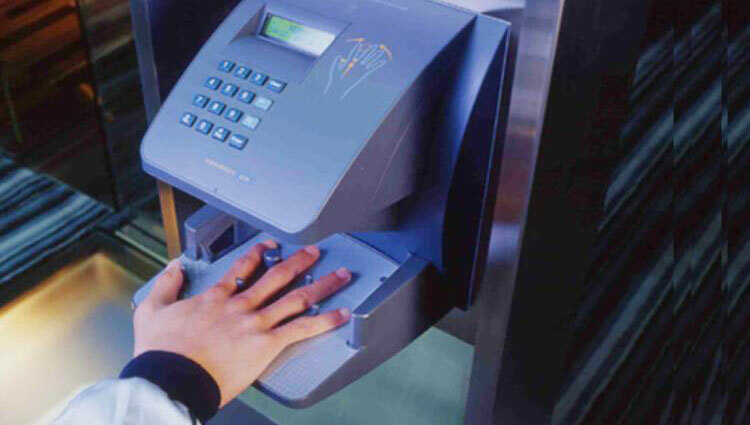 The recognition system fetches the stored biometric record associated with the entered PIN and prepares the system to match it with the hand scan that follows. User has to put his/her hand on the platen to have it scanned. Scanning and verification process is quick and takes less than a second on modern hand recognition systems. Image: An individual with hand placed on hand geometry reader scanning platen. Most systems have peg guided hand placement to make sure that the hand is placed correctly on the platen. Image of the hand is captured using a CCD (Charge Coupled Device) camera, which is located just above the platen. 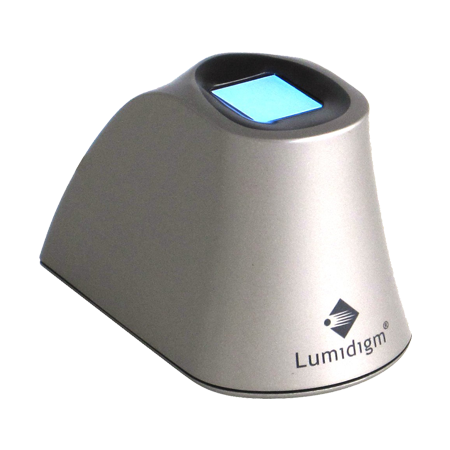 Hand geometry readers may also make use of Infrared light and reflectors for capturing the image of the hand. Unlike palm print scanners, which scan image of the hand to capture ridge detail of the subject’s palm, hand geometry scanners capture hand image to measure length of fingers, their thickness, width, curvature and relative location of other features, which are considered to be unique together for an individual. The recognition system generates a silhouette image out of captured raw image to weed out any unnecessary details. Both, the top and the side image of hand are generated to perform geometry measurement. At least 90 measurements are taken and 31,000 points of the generated silhouette image are analysed. These calculations and measurements are performed by the underlying hand geometry recognition algorithm and the biometric template of the subject is generated. Unlike other biometric recognition systems, the memory size of the template generated by hand geometry recognition systems is very small and occupies only 9 bytes. This makes hand geometry recognition systems very light on storage. The enrollment process takes multiple hand scan (typically three sequential scans) of the subject’s hand and the system averages the resulting data to generate a biometric template of the user. This template is stored in the system memory and associated with a unique personal identification number (PIN). This PIN is shared with the user who can enter it at the time of verification for physical access or time/attendance. Since hand geometry recognition relies on the concept that shape of human hand is a unique characteristic, its recognition systems are designed to perform measurement of the hand’s shape like surface area, thickness, length, and width of an individual’s hand, finger width, height, and length, distances between joints and knuckle shapes. Measurement is accurate and the biometric template generated out of it also represents it uniquely. If we just look at the accuracy part, hand geometry recognition is a very accurate system. Hand geometry systems do not process any unique data points like many other biometric recognition systems (e.g. retina recognition). Distinctiveness of hand geometry comes from its shape. Due to this reason, hand geometry recognition is not really used in identification types of scenarios, where numerous data points are required. It is used primarily for Verification based applications, such as those of Physical Access Entry and Time/Attendance. Although most individuals possess some unique features to their hands, it does not possess rich data, like human iris or retina. The underlying recognition software is designed the way that geometry of human hand is accurately captured and mapped. The system can even adapt to minor changes in the shape of hand due weight gain or loss by updating biometric template of an individual. Present day hand geometry readers can store biometric data of over 40,000 subjects and still work with the same efficiency and accuracy. Fast, simple, accurate and easy to use. Less intrusive than many other biometric modalities like fingerprints and retina recognition. Performance of the recognition systems does not very with the condition of the skin surface (e.g. skin color, wet/dry skin, smudged or dirty skin, scars, grim, diseases that only affects skin surface, etc.). Can be deployed in some of the harshest environmental conditions like extreme heat and cold, where many other biometrics will fail. Hard to circumvent. It would require entire 3D replica of a subject’s hand to circumvent the system. Can be integrated with other systems like proximity and smart card readers. It can be used in warehouses, storage facilities, and factories, where the population sizes are very large. In fact, a single device can store over 40,000 biometric templates of different individuals. More reliable audit trails than traditional card or paper based systems. High level of public acceptance than many other biometric technologies. Eliminates the need to create, administer or carry cards, hence reduces overall cost, time and efforts over traditional attendance systems. Not very unique biometric characteristics so cannot be leveraged for high security applications. However, when combined with other forms of identity verification (biometric or non-biometric), it can be used with moderate to high security applications as well. Certain medical conditions like swelling or injury in hand that changes the shape of the hand can affect the performance of the system. Shape of hand can also change with change in weight and aging. Hand geometry readers can be more expensive than many other biometric recognition options, for example fingerprint attendance system can start as low as $50 while price of an entry level hand geometry reader may start with $1000. Hygiene may be an issue as subjects have to place their hand on the scanning platen. However, manufacturers use silver nano-technology on the base plate surface to fix this issue. Silver nano-technology has anti-microbial properties, making the system suitable for hygiene sensitive applications like hospitals, healthcare outfits, schools, etc. Hand geometry vs. fingerprint recognition: which one is better? Hand geometry is the longest implemented biometric modality while fingerprint is the most developed biometric method. Fingerprint recognition is now enjoying widespread acceptance and has shrunken the market share of hand geometry recognition, despite that, they do deserve a head to head comparison. Any human physiological or behavioral characteristic is expected to have following seven features to be a biometric modality: Universality, Uniqueness, Permanence, Collectability, Performance, Acceptability, and Resistance to Circumvention. Let’s do a quick comparison how hand geometry recognition compares with fingerprint recognition on the above mentioned criteria. This is the criterion where hand geometry recognition equals if not outperforms fingerprint recognition. Human beings have two hands and ten fingerprints. We do not have any statistics that how many people around the world have fingerprints or hand geometry that cannot be used for biometric identification. However, finger ridges come in direct contact with the different surfaces touched by people. In some working conditions like laborious jobs, chemical factories, etc., fingerprints of workers may wear off partially or completely, rendering them unusable for biometric identification. People may also lose fingers or hand in accidents, rendering them to be unusable for hand geometry identification. On the criteria of universality, hand geometry recognition shares the stand with fingerprint identification and both offers medium level of universality. Uniqueness or distinctiveness is an important criterion for any human physiological or behavioral feature to be used as a biometric modality. Both hand geometry and fingerprints are considered to be unique characteristics in human beings. Fingerprint recognition has a history of more than hundred years with forensic applications and there is no documented instance in which two fingerprints were found to be similar. Even different fingers of the same person have different fingerprints. Shape of the hand has a little different story here. Though different individuals have different shape of the hand, there are chances that two individuals may have (specially when target population is large) similar or near similar shape of hand. Since hand geometry entirely depends on the shape of hand and do not collect data points like fingerprint recognition, distinctiveness of fingerprints is considered higher than of hand geometry. Permanence is another criterion to which a human characteristic has to show some degree of adherence to be a biometric modality. Permanence of a biometric modality signifies that it will not change during the life time of a person or the change will be so insignificant that it will not affect performance of the recognition system. Human fingerprints show a good degree of permanence and they do not change during a person’s life time. They may wear off due to excessive and repetitive friction or coming in touch of chemicals in some work conditions, but they do not diminish on their own and remains the same throughout the life. Hand geometry, on the other hand, has higher possibility of change with time than the fingerprints, to the degree that can affect the performance of the hand geometry recognition systems. For example, with weight loss/gain, the shape of the hand may change. Since hand geometry recognition entirely depends on the shape of hand, it will affect the performance of the recognition system. This criterion evaluates that how easily a biometric modality can be collected. For example, collectability of face is high but for DNA sample, which is also a biometric modality, it is low as it requires a physical sample instead of imaging or scanning. On the criterion of collectability, hand geometry rates high in collectability while fingerprints have medium collectability. Collection of fingerprints may suffer from smudge or dirt on fingertips, dry or wet skin, etc. while hand geometry recognition systems do not have such issues collecting geometry of human hand. Performance of a biometric system is analysed with error estimation and performance metrics like false match, false mismatch, impostor acceptance rate, ROC, DET, plots etc. Hand geometry recognition is rated medium on this criterion while fingerprint recognition displays high level of performance. Acceptability of a biometric system signifies that how well the recognition method is accepted by people. For example, if an employer starts taking DNA samples for employee attendance it would probably be the worse example of a biometric implementation and will result in very low acceptability. Level of acceptability may also change with time. Earlier hand geometry recognition enjoyed higher acceptability than fingerprint recognition, but now people have also well accepted fingerprint based recognition due to its increasing presence in personal digital devices like smartphones and computers and civil identification applications. This criterion evaluates a biometric modality for its immunity against circumvention. A biometric modality is expected to be resistant against any attempt of circumvention. Hand geometry recognition is based on the overall shape of the hand and a good imposter attack will require a precise replica of an authorized user’s hand. It is hard to create such replica but not impossible. Fingerprints, may also suffer from imposter attacks with replicas of human finger ridge pattern, which is again hard but not impossible to create. Due to these possibilities of circumvention, both hand geometry and fingerprint recognition are rated medium on the criterion of circumvention. Once used widely, hand geometry recognition systems are losing their relevance due to increasing needs of security and efficiency. Fingerprint recognition has already become ubiquitous. Unlike hand geometry recognition, which is only suitable for employee or member identification, fingerprint recognition can be used for any application requiring personal identification, be it physical or logical. It is being used for unlocking phones to unlocking doors and gaining access to high security facilities. 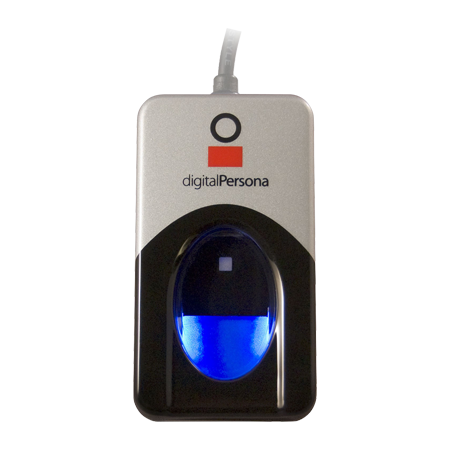 Hand geometry readers are designed to scan one of the human hands (mostly right hand) while fingerprint recognition systems very from one finger to ten finger scanners. 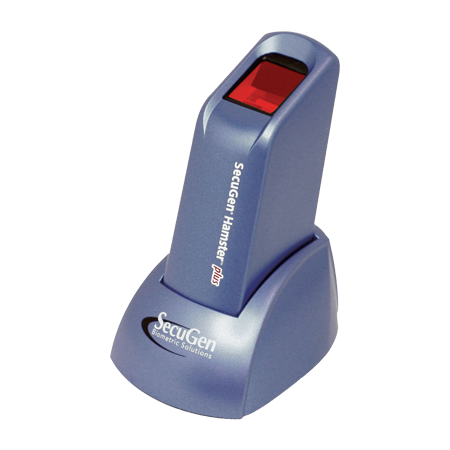 For convenience inclined applications, single finger scanner can do the job (e.g. on smartphones and personal digital devices). 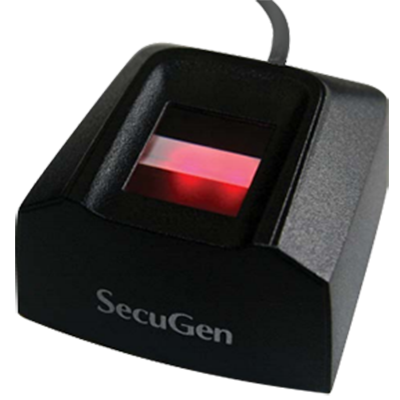 Applications which require more security, can leverage multi-finger scanners. Security intensive applications can also make use of multi-biometric systems, something that hand geometry systems do not offer. Hand geometry recognition biometric systems have been used for more than 25 years for applications like physical access and employee time / attendance. Relying on the uniqueness of the shape of human hand, these systems have survived many ups and downs in biometric industry. Once a market leader, hand geometry recognition technology is still trusted by many businesses for its efficiency and accuracy. However, with time, this technology is aging and making way for other biometric methods to come forward.